Sometimes on weekends I like to make a big bowl of popcorn to just kind of snack on throughout the afternoon. Normally Betsy is studying and I’m either cooking or writing something. No matter what’s going on, a big bowl of popcorn is a solid snack. I abandoned microwave popcorn years ago and have never really looked back. 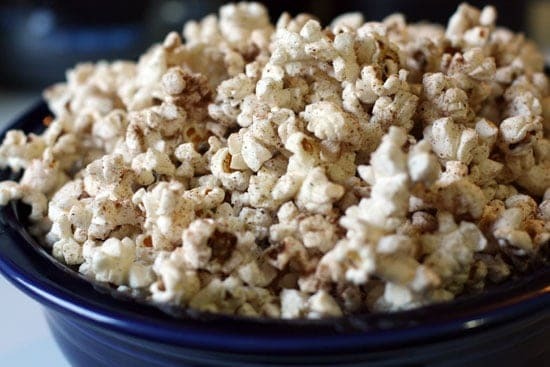 Popcorn is dirt cheap and once you know how to correctly make it on the stove you can experiment with all kinds of interesting toppings. I’ve made two other varieties of popcorn before on Macheesmo, the caramel variety in that post is especially delicious. One of the things I’ve been trying out more recently is using whole spices and mixing my own spice mixtures. A few weeks ago I worked out a pretty solid Five Spice powder and turns out you can put it on popcorn! 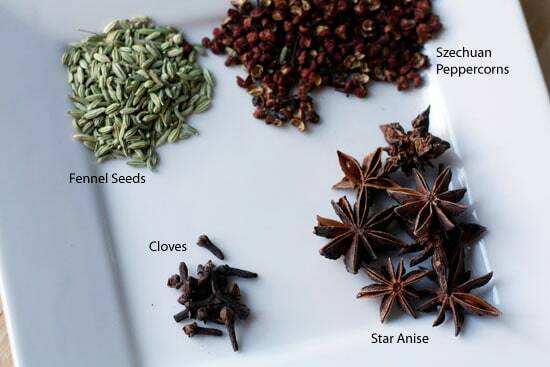 There are a lot of different varieties of five spice powder, but most involve something with some heat, something with an anise flavor, cinnamon, and in most cases clove. It’s normally put on cuts of meat like duck and chicken, but I figured it might work great on popcorn. The nice thing about this spice powder is that it is pretty flexible. If you like more heat, add more peppercorns. 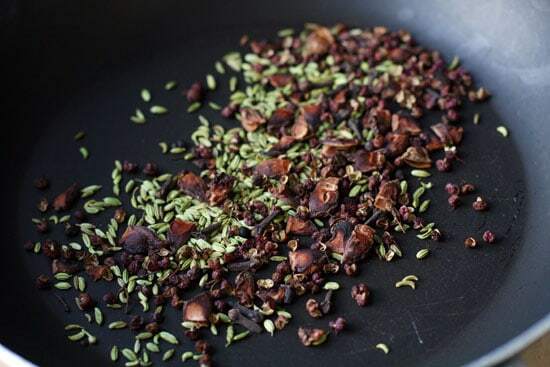 If you don’t like anise so much, substitute the fennel seeds or star anise with something like ground ginger or maybe coriander. Below is the mix I made and I thought it was a good start, but if you try this, taste it and adjust to your liking. 1) Lightly toast spices for a few minutes over medium heat. 2) Grind up in spice grinder. 3) Get a medium to large saucepan. It needs a tight fitting lid. 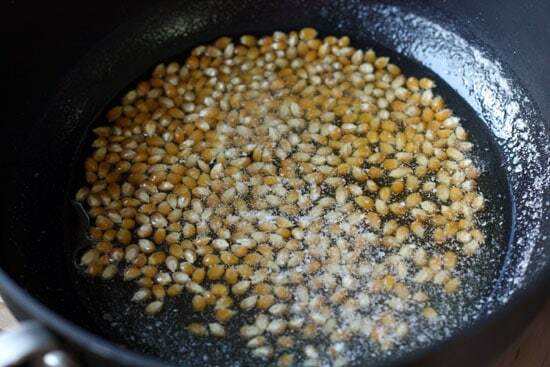 4) Sprinkle some popcorn kernels in the bottom of the pan until they cover the bottom in a single layer. If you do any more than that, they most likely won’t all pop. 5) Pour in vegetable or canola oil until the oil just covers the kernels. 6) Put the lid on tight and put it over medium-high heat. In a few minutes the kernels should start popping! Once they do, hold the lid on the pot with one hand and gentle shake the pan with the other hand. 7) After about a minute or two, the kernels should all (or mostly) be popped! 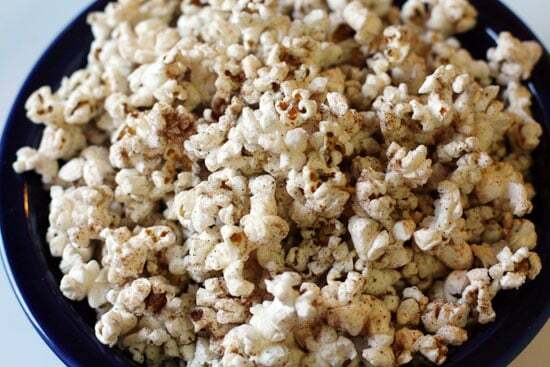 8) Pour the popcorn into a bowl and sprinkle some salt and five spice powder on it right away while it’s still hot. I tried to use all whole spices for this powder. 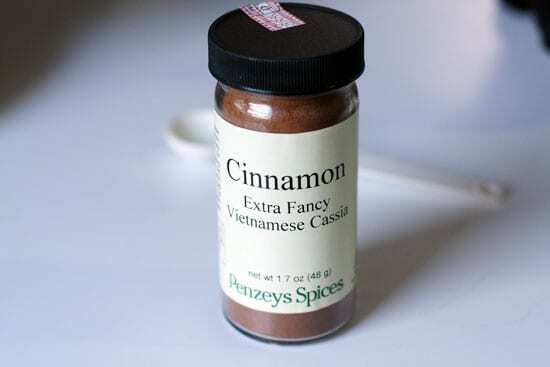 If you are interested in trying this out but can’t find some of these, I highly recommend Penzeys Spices. They sell quality stuff. Also, if you live in a metropolitan area, you can probably find most of these at an Asian market. I used a good amount of peppercorns cause I wanted some heat to the powder. I think I may actually up it even more if I were to make this again. I think the ratios I listed above are a good starting point though. Adjust according to your tastes as I said. For the whole spices, I decided to lightly toast them to bring out some of the flavors even more. The peppercorns definitely benefited from the toasting. I’m actually not sure that I would toast the others if I was making it again. I don’t know that it added much and you run the risk of burning them. Toasting these guys is a good idea. If you do toast them up, just keep a close eye on them. They will only need a few minutes over medium heat. Then buzz them up in your spice grinder! You should end up with a pretty fine powder. It’s okay to have some difference in sizes though. It gives it some texture. Be careful with the fumes! Oh and don’t forget the fifth ingredient! I used this Vietnamese stuff because I have a mild spice addiction. It definitely is more intense than the normal cinnamon, but I think you could use the normal stuff and be just fine. Go light with this stuff. Making popcorn on the stove is super easy. Once you try it once you’ll never go back. It honestly takes about the same time as microwave popcorn. Ok. Maybe it takes like five minutes total, but it’s SO much better. Get a medium to large saucepan. I’ve made popcorn in a bunch of different pots over the years and the only really important thing is that it has a tight fitting lid. Sprinkle some popcorn kernels in the bottom of the pan until they cover the bottom in a single layer. If you do any more than that, they most likely won’t all pop. Then pour in vegetable or canola oil until the oil just covers the kernels. For this version I tried adding a little butter also, but I think just oil works best. Just covered is the key. I poured some of this out. Put the lid on tight and put it over medium-high heat. In a few minutes the kernels should start popping! Once they do, hold the lid on the pot with one hand and gentle shake the pan with the other hand. The goal is to keep the kernels moving so they don’t burn while also keeping the pan on the heat. After about a minute or two, the kernels should all (or mostly) be popped! Pour the popcorn into a bowl and sprinkle some salt and five spice powder on it right away while it’s still hot. Adjust the spice and salt to your tastes, but that’s pretty much it! This isn’t exactly how five spice powder is intended to be used, but I found it to be pretty good. If I were to make it again, I think I would increase the peppercorn and maybe add some coriander or something to give it a bit more complexity. I think the real key is to go light on the cinnamon. It can very quickly overpower the spice mix. 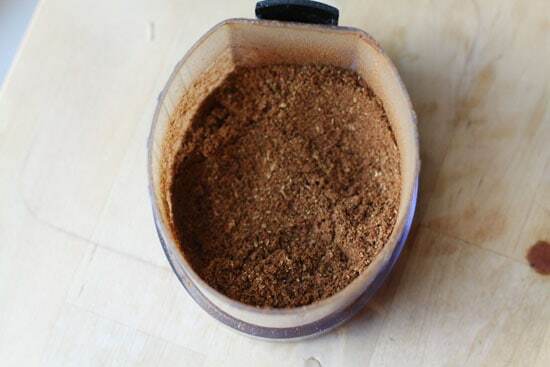 You can store any leftover spice mix in an airtight container. Has anyone else made this before or have any other spices suggestions? Leave a comment! my boyfriend loves popcorn! This five spice sounds great! Oh and yeah, I use my coffee grinder as a dual spice grinder and it works great! I am NOT making this, no way, no how. This would be gone in seconds–like a stolen ferrari. Ah! You make your own 5 spice mix! You rock in my books. My favorite popcorn right now is the chili lime and tequila. Butter (I dry-pop my corn, either in a pot or in an air popper) with Tobasco mixed in, sprinkled with either (small!) chunks of blue cheese or grated parmesan. Garlic, butter, basil, and parmesan are delicious. My six-year-old loves cinnamon sugar popcorn, which I think is taking it a bit too far. Lime (confession: I use that powdered true lime stuff), cumin, garlic, and a bit of chili powder. Furikake in pretty much any flavor you like is tasty on popcorn. I totally agree, making your own popcorn is so much fun.